Holly joined Abramson, Brown & Dugan in 2003 after serving for three years as a judicial law clerk at the New Hampshire Supreme Court and the New Hampshire Superior Court. Holly brings her knowledge of the New Hampshire judicial branch to her practice representing patients who are injured by negligent medical care in New Hampshire. Since joining the firm, Holly has represented many victims of medical malpractice in a wide array of medical errors and has developed a specialized expertise in bringing claims against the numerous for-profit methadone clinics in our state taking advantage of victims of the opioid crisis. Holly is a New Hampshire native and received her law degree from the University of New Hampshire School of Law (formerly Franklin Pierce Law Center). After law school she served for two years as a law clerk to the justices of the New Hampshire Superior Court and for one year as a law clerk to the Honorable Joseph Nadeau at the New Hampshire Supreme Court. Holly has been very involved in the New Hampshire and national legal communities, serving on the Board of Governors for the American Association for Justice, the New Hampshire Association for Justice, and the New Hampshire Women’s Bar Association, where she served as President from 2010-2012. She has also been active in the New Hampshire Bar Association, serving on the editorial board of the New Hampshire Bar News and the New Hampshire Bar Journal, and on the Gender Equality Committee. She is a Fellow of the American Bar Foundation and the New Hampshire Bar Foundation, where she currently chairs the “Fostering Legal Independence” initiative for the New Hampshire foster care system. 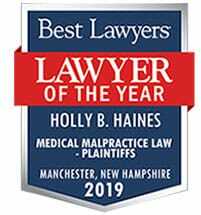 Holly has received many awards and accolades for her work in the New Hampshire legal community, both for her representation of victims of medical malpractice and for her service to the legal profession within bar associations and professional organizations. 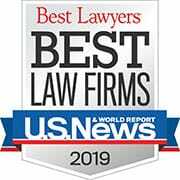 She was selected by US News & World Report as a “Best Lawyer” in Plaintiff’s Medical Malpractice Law each year since 2016 and won their Lawyer of the Year award in Plaintiff’s Personal Injury in 2018. 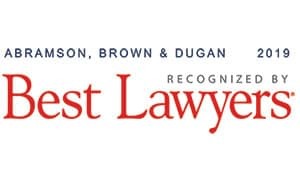 Holly was also selected by New England Super Lawyers as a “Rising Star” for Plaintiffs’ Medical Malpractice Law each year from 2008-2014. She has the highest “AV” rating from Martindale Hubbell. She received the Robert E. Kirby Award from the New Hampshire Bar Foundation in 2011 and she received the President’s Award from the New Hampshire Association for Justice in 2017. Author and co-author of numerous journal articles and presenter/organizer of numerous legal education seminars on medical malpractice law and procedure. American Bar Association; New Hampshire Bar Association (New Hampshire Bar News Committee , Editorial Board; Chair, Gender Equality Committee, New Hampshire Bar Journal Editorial Board Member); New Hampshire Women’s Bar Association (Former Public Relations Officer, Treasurer, President, Immediate Past President, Sustaining Member); Manchester Bar Association; New Hampshire Association for Justice (Board of Governors) Sustaining Member; American Association for Justice (Board of Governors, Revitalization Governor for New Hampshire); Trial Lawyers for Public Justice; the American Society of Law, Medicine & Ethics (ASLME); New Hampshire Supreme Court Society; University of New Hampshire School of Law (Dean’s Advisory Council; NH Alumni Advisory Group); American Bar Foundation Life Fellow. The Annual New Hampshire Practice Series CLE (UNH School of Law, 2008, 2009, 2010, 2011, 2012, 2014); Handling Medical Negligence Claims (National Business Institute, 2007); Tackling Advanced Medical Malpractice Issues (National Business Institute, 2007); Preparing a Civil Case for A Successful Outcome, Paralegal Association of New Hampshire, 23rd Annual Meeting (September 22, 2006); Developments and Issues in Medical Malpractice, Merrimack Valley Christian Academy (August 15, 2005).